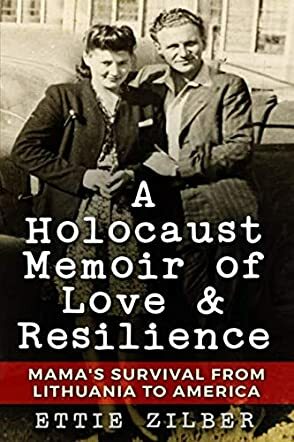 A Holocaust Memoir of Love & Resilience is a compelling book written by Dr. Ettie Zilber, the daughter of the story’s heroine, Zlata. We relive Zlata’s horrific ordeal during the Nazi invasion, her almost miraculous survival, and her reunification with what family remained. She leads us all the way to New York harbor, and we last see the family staring at the Statue of Liberty. Dr. Zilber takes us further, though. She recounts her own tracing of her mother’s footsteps from Lithuania to Poland, trying to mesh actual locations with the stories she heard throughout her childhood. Finally, she analyzes the impact of being a child of Holocaust survivors, not just for herself, but for many other children of survivors, with a final appeal to the world to never forget! A Holocaust Memoir of Love & Resilience is captivating in its telling of Zlata Santocki’s Holocaust experience. Dr. Zilber recounts her mother’s story from recordings her sister made, determined not to let their mother’s Holocaust history die with her. She brilliantly leaves this narrative in Zlata’s voice, not correcting wording or grammar. I was struck by the chilling air of authenticity this added to the tale. I could feel myself listening at her feet as she matter-of-factly told what she had to do to survive! I was inspired by Dr. Zilber’s choice to retrace “Mama’s” journey, even with all the churning emotions it entailed. And her analysis of the experiences of Second Generation victims revealed things to me that I had never considered. This story is a treasure!